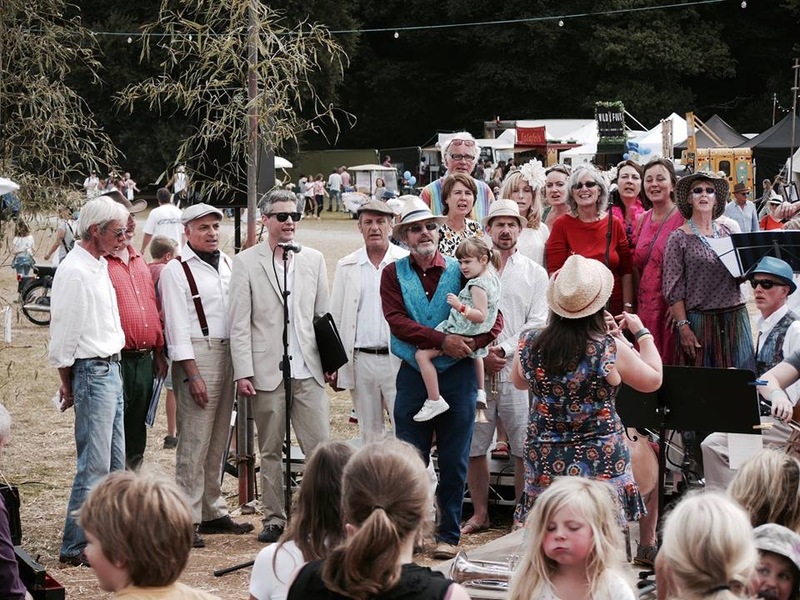 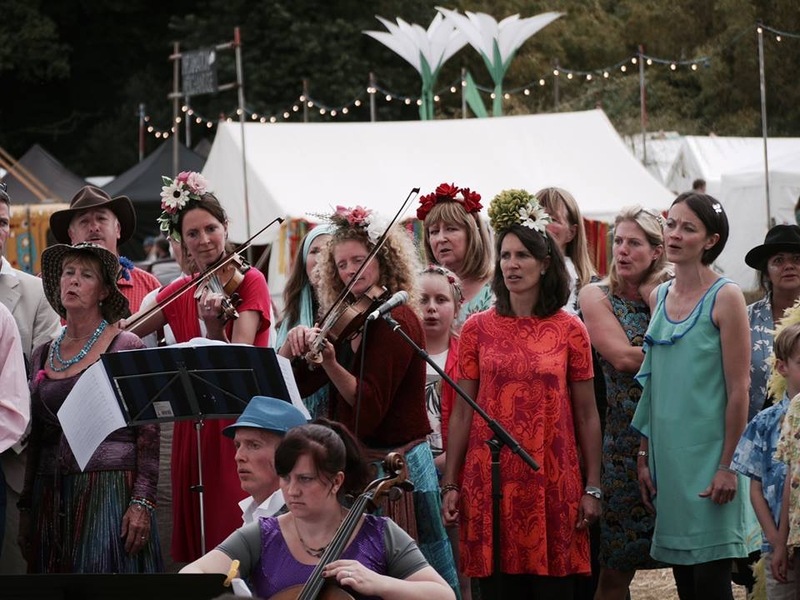 This choir / band was formed for the 2016 Port Eliot Festival, comprising singers and players from Canoryon Lowen and Playful Chorus. 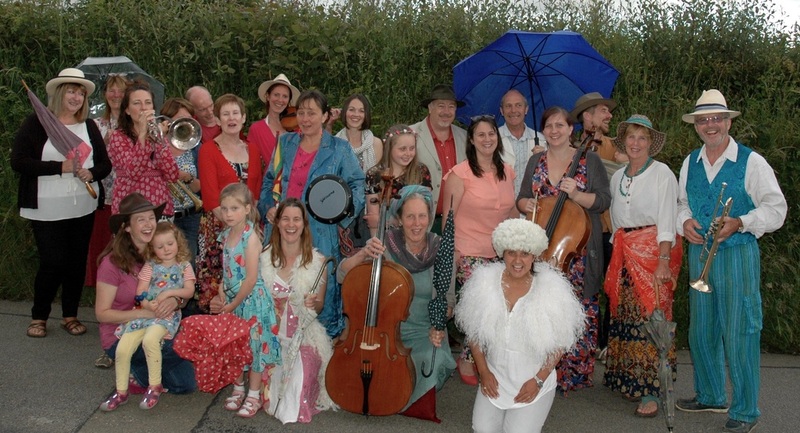 Repertoire of world, folk, pop and rock - and was a real blast! 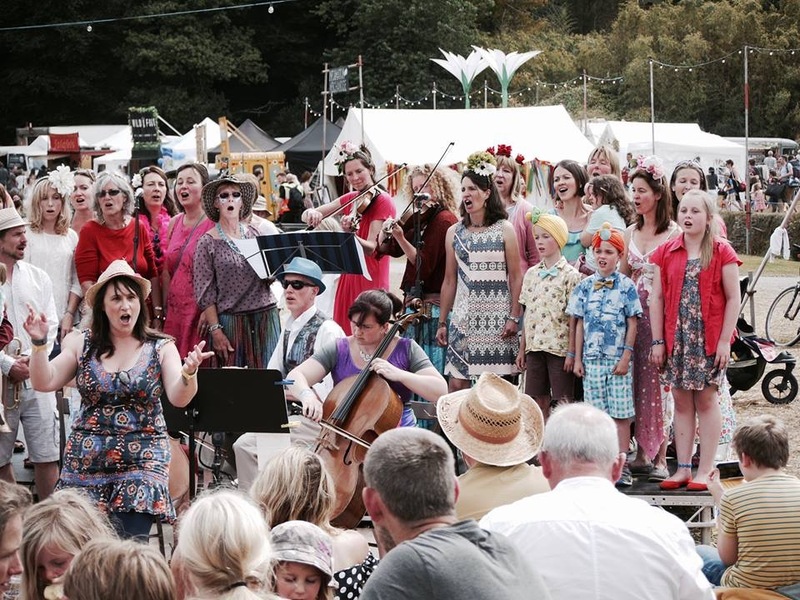 Jambawolly Picnic is a choir-band with some of the most amazing singers and players in East Cornwall. 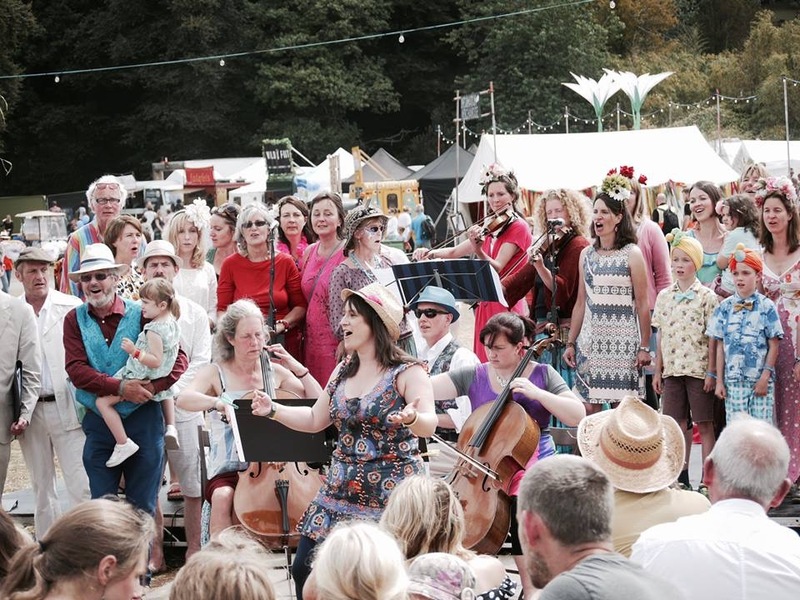 The repertoire of world, folk, pop and rock music is guaranteed to get your feet tapping and souls soaring. 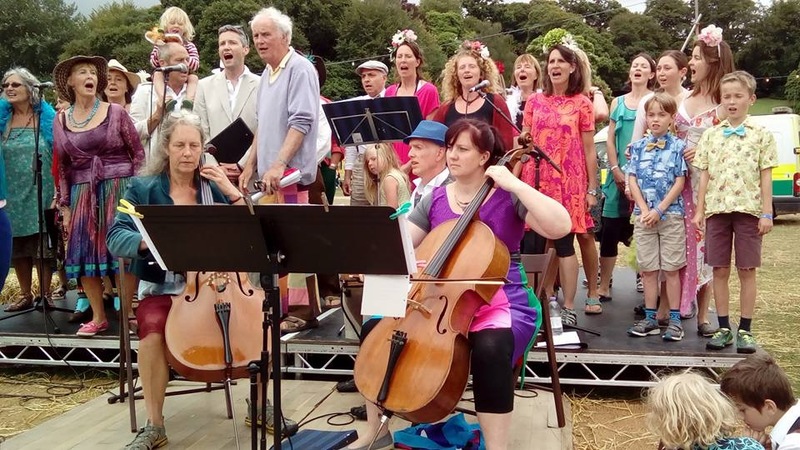 Under the direction of Nick Hart assisted by Naomi Kennedy, the thirty musicians are drawn from three of his choirs for this very special festival line up.